of Spanish (worldwide) at the prestigious STM Industry Awards held every year at the Hilton on Park Lane in London. 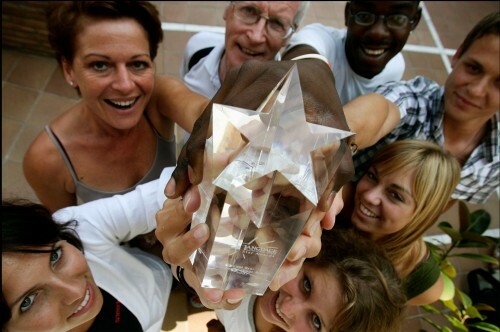 As a five time winner Malaca Instituto now enters the Hall of Fame as a "Superstar" school. Malaca Instituto is the first school of Spanish to obtain this status and only one of 9 language schools in the world. 25 CLASSROOMS with air conditioning and audiovisual equipment. STUDY CENTRE including a library and self-access worksheets. Free WI-FI everywhere on the premises. 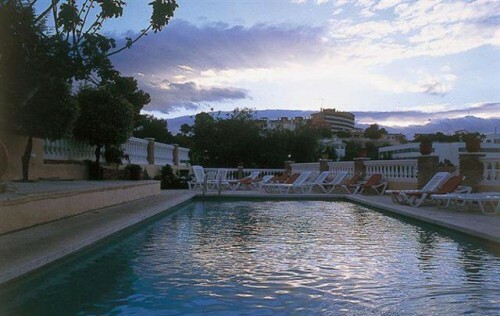 SWIMMING POOL AND SEVERAL TERRACES. LOUNGE with tv and computers for student use, open 24h a day. DANCE AND SPORTS ROOM where you can practice different sports and attend dance classes for free. CULTURAL ACTIVITIES OFFICE, open Tuesday to Friday from 10h to 15h. General Spanish. Reading, writing, speaking, listening, grammar structures and vocabulary. 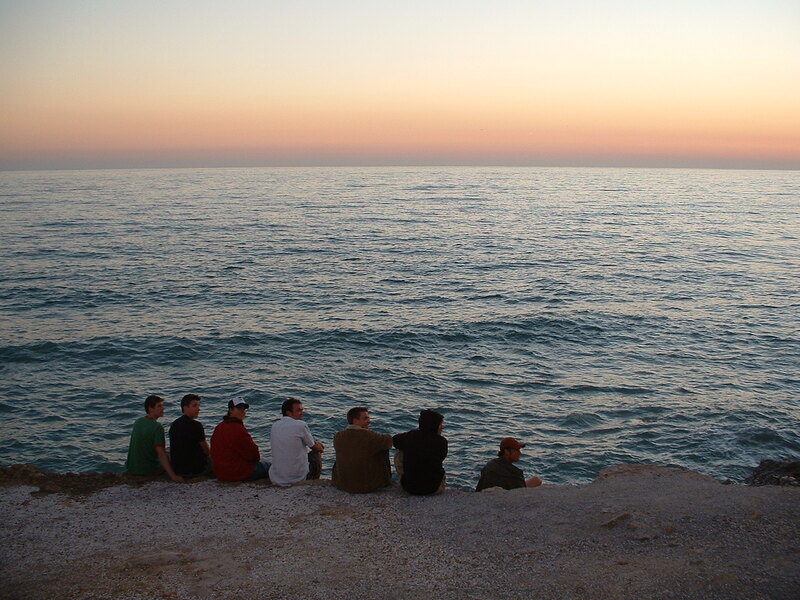 Different aspects of Spanish culture and customs. Every Monday except beginners, who must start on the set dates (generally every 2 weeks). 20, 24 or 26 fifty-minute classes per week. 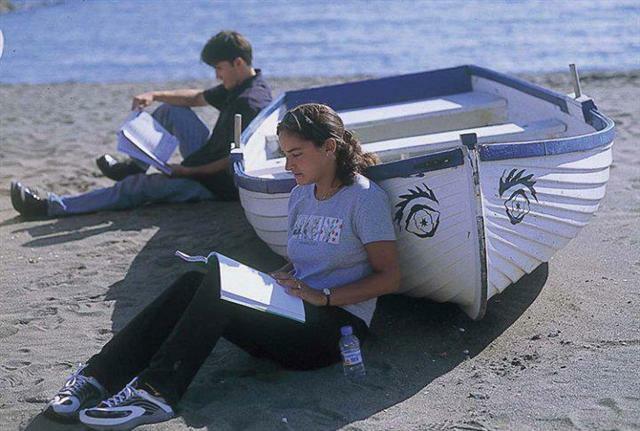 Specifically designed course to prepare for the Diploma of Spanish as a Foreign Language. Students become familiar with what will be expected of them in the different tests by sitting mock exams in real time every week. 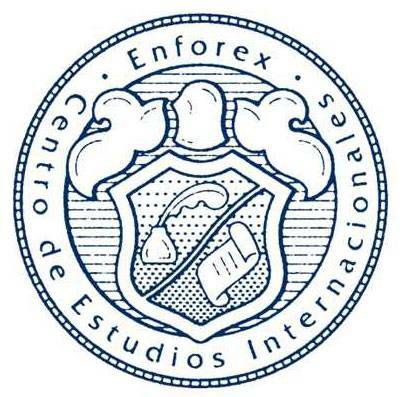 Malaca Instituto is an Official Examination Centre, authorised by Instituto Cervantes. We have experienced teachers who are specifically trained to teach these courses. Preparation for University Access Exams (PAU - Selectividad). Duration: 21 weeks (from January to the exam date). (15 classes in total per week). OPTION A. HUMANITIES: Art History and Universal Literature (4 classes in total per week). OPTION B. SCIENCE: Mathematics and Physics or Chemistry or Biology or Business Economics (4 classes in total per week). Malaca Instituto ofers courses combining Spanish and dance. Dance classes are taught daily from Monday to Friday between 16h and 18h in our dance room, which has a wooden floor and is fully equipped with mirrors and air conditioning. 20 Spanish classes per week. 1 Cultural talk per week. 1 Film discussion per week. 10 dance classes (flamenco or salsa) per week. Also, 2 flamenco classes and 1 salsa class for free per week. Intensive general Spanish course including reading, writing, listening and speaking activities, as well as grammar and vocabulary. (20 classes per week in total). For students interested in a focus on trade. Specific vocabulary and a variety of activities dealing with topics such as : import and export, marketing, the Spanish banking system, customers, correspondence, etc. (10 contact hours per week). Duration: 1 or 2 weeks. For students with prior experience in business. Specific vocabulary and a variety of activities dealing with topics such as: personal introduction, product and company presentation and analysis, meetings (note-taking, contributing opinions, interrupting), human resources, trade fairs, congresses and conferences, negotiation, market analysis, etc. Duration: between 1 and 4 weeks. 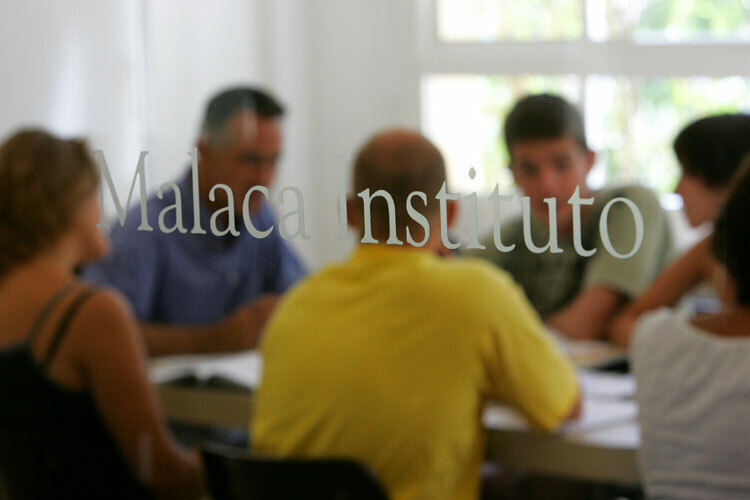 Malaca Instituto offers courses for non-native Spanish teachers with open programmes which take place in July and especially designed courses for closed groups at any time of the year. 2 cookery classes per week. 1 Gastronomy route including a meal. 1 Gastronomy talk per week. 1 Film and gastronomy per week. 1 Half-day trip or tapas outing. 1 Recipe book and apron. The Mini-Campus formed by the school buildings and the Club Hispanico residence, create a unique environment in a School of Spanish in Spain. The students tend to hang around after class on the terrace, by the pool, in the restaurant, and this makes an ideal situation for professional and social networking. Residential accommodation on our Mini-campus in the Club Hispánico: 95 rooms all with en-suite facilities. 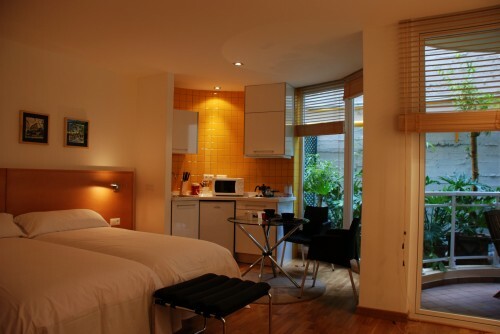 From standard rooms to Executive Studios suitable for our diplomatic and executive clients. 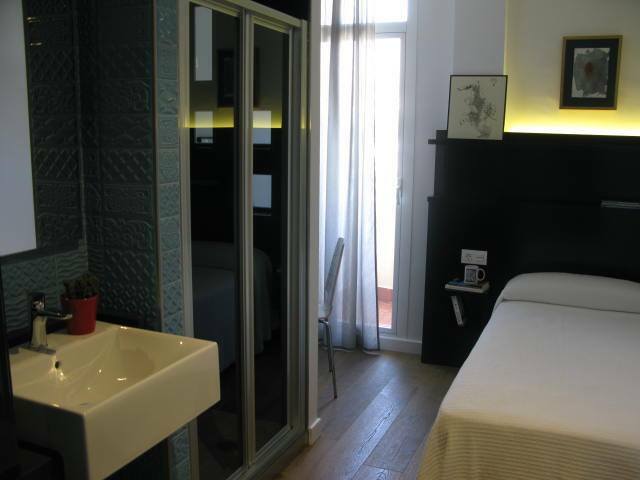 Shared student apartments offering an independent lifestyle at very affordable prices: types A and B. 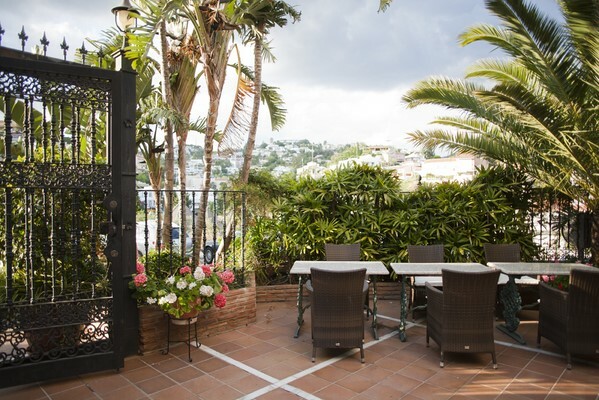 Host family accommodation providing the maximum opportunity to get to know the Spanish way of life and practise your Spanish. Muchas gracias a mis profesores. Especial gracias Bob, que me aydaba muchisimo con todas mis dificultades que tenia yo como estudiante nueva. Malaga es una ciudad muy bonita, con mar y playa y eran mis vacaciones estupendas.